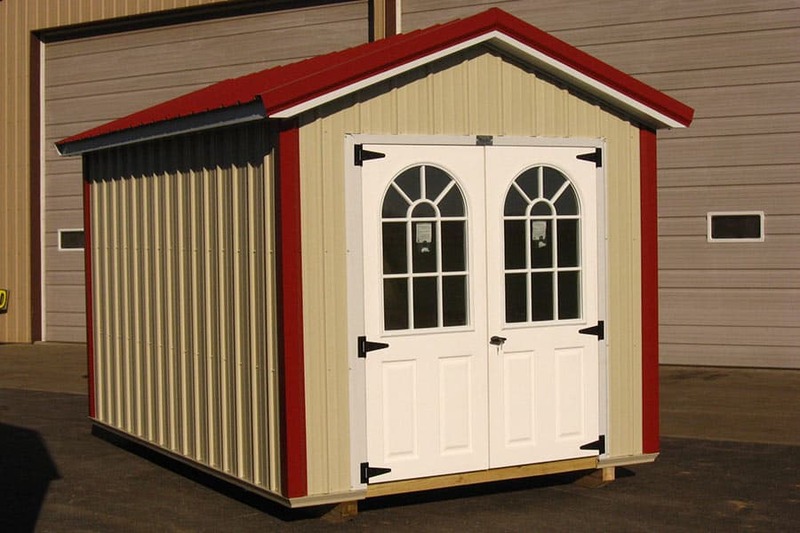 In this blog, we want to look at 10 reasons to buy a prefab garage shed. If you’re a homeowner, you already know the challenges of keeping up a property, not the least of which is finding room to store everything. In the first place, your current garage (if you even have one) may be full to the brim. Second, maybe it’s simply not big enough. Here at Overholt & Sons we want to help you on your way to filling your storage needs as a homeowner. 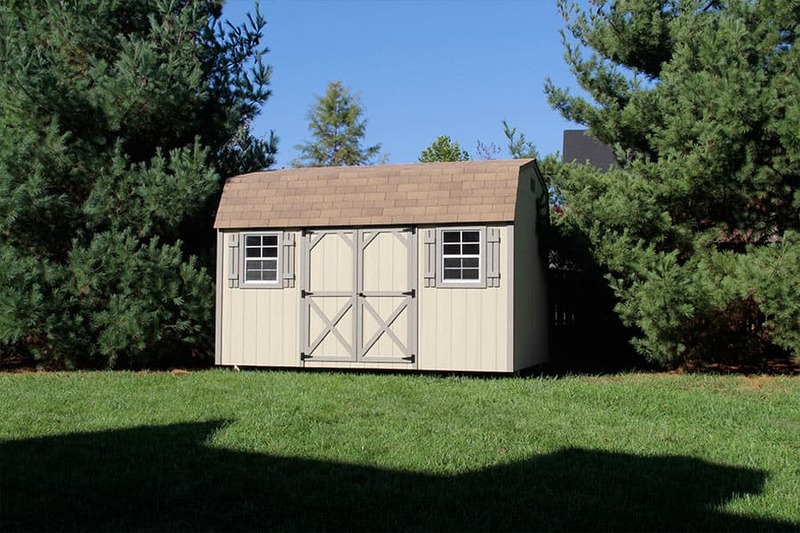 Should I Add on to My House… Build a Lean-to… or Buy a Garage Shed? Any addition to a house is an expensive proposition. Bring in a builder and you will soon find yourself spending more than $30,000 for a “simple” garage. 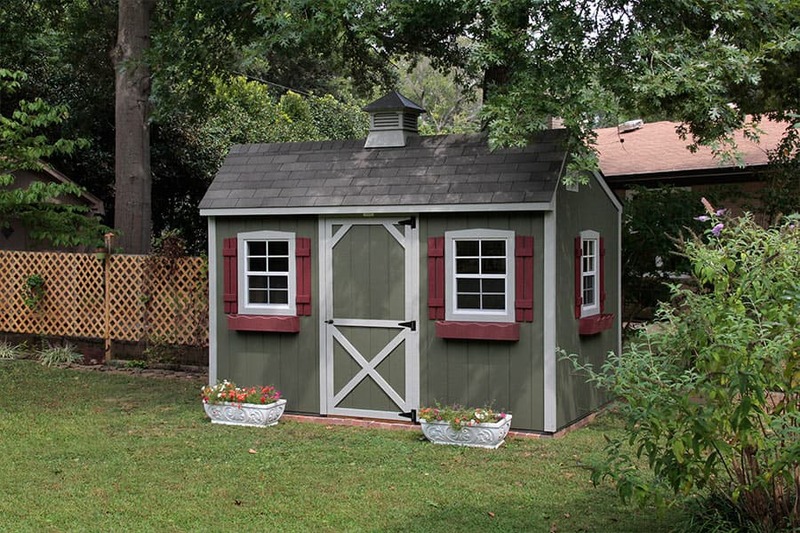 There is another answer: a garage shed. As already mentioned, if you’re looking at having a builder in to build a garage expenses soon soar. According to www.fixr.com a basic two car garage will average $27,000. Of course, this is only an estimation; depending on your needs cost will be higher. 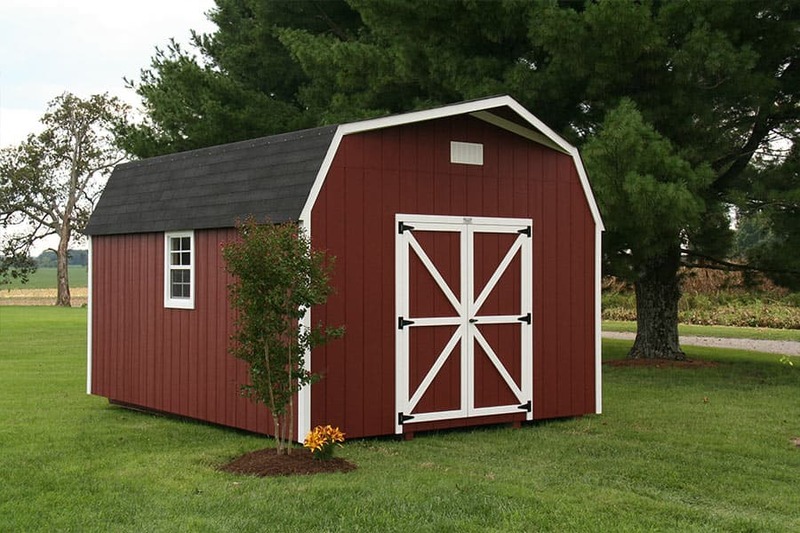 On the other hand a garage shed of similar size starts at less than $10,000. 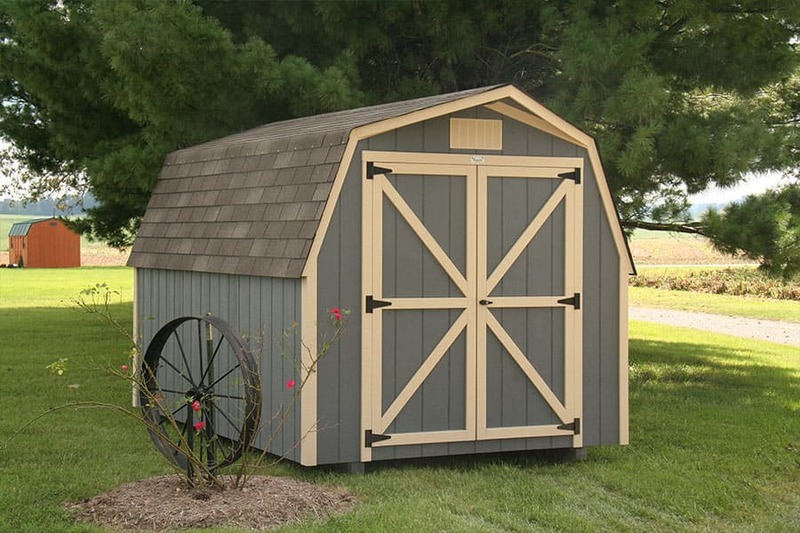 Check out our blog 17 Garage & Shed Organization Tips for more organizing ideas. Does your spare room look like this? 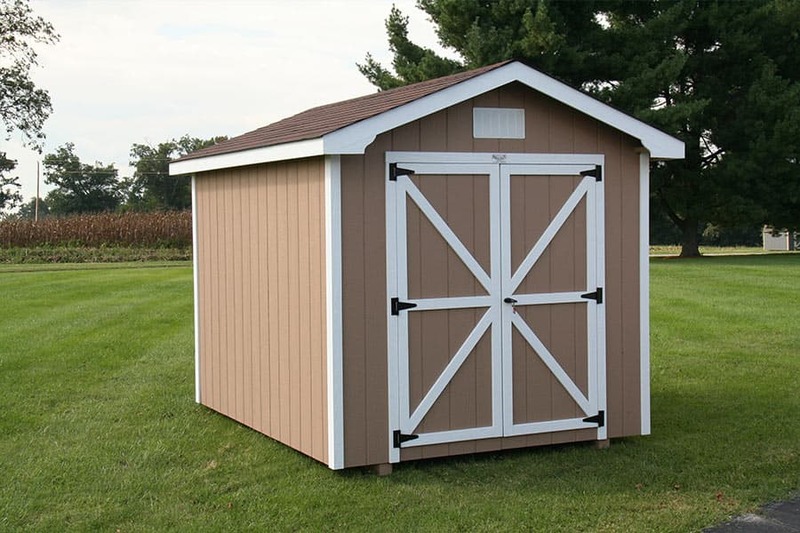 Just think of all you could store in your new shed. Not only that, proper shelving and other customization will go a long way to put clutter where it belongs… in storage! 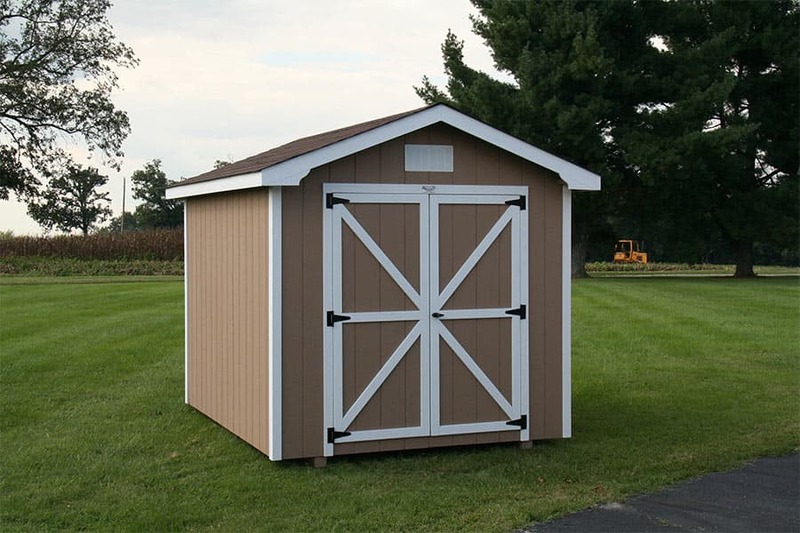 One of the advantages of a garage shed is its portability. 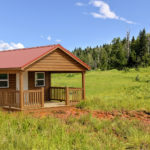 How many investments can you make on your property that can move along with you when you go elsewhere? All you need to leave behind is a gravel or concrete pad as evidence your garage shed once took up space there. If you do sell your property and let your shed behind it’s sure to add value to your property if it’s been well maintained. Furthermore, consider doing some nice landscaping around it and make it one of the focal points on your property. Are you worried about maintenance? 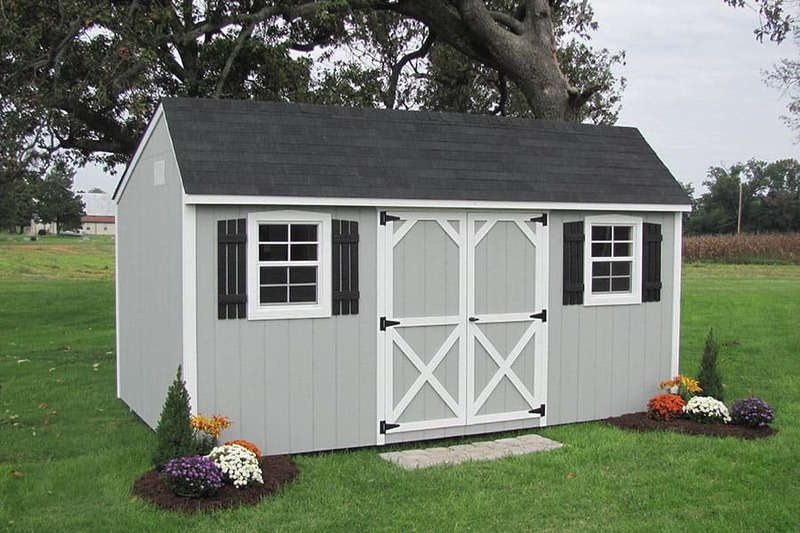 Maybe you should go with vinyl siding and your garage shed will be almost maintenance free! Even wood siding is easy to maintain with the occasional paint touch up. If you’ve ever gone through home renovations you already know how much dirt a carpenter can make. Besides sawdust and wood chips, there’s plain old dirt everywhere! 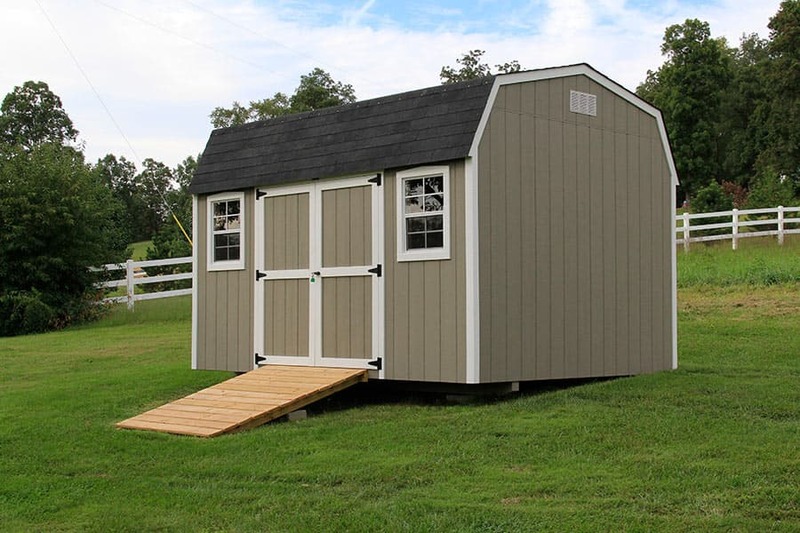 Buying a pre-made shed from Overholt & Sons means the mess is our problem, not yours! Consider going with one of our two story models and set up the upstairs for that hobby you never had room for before. 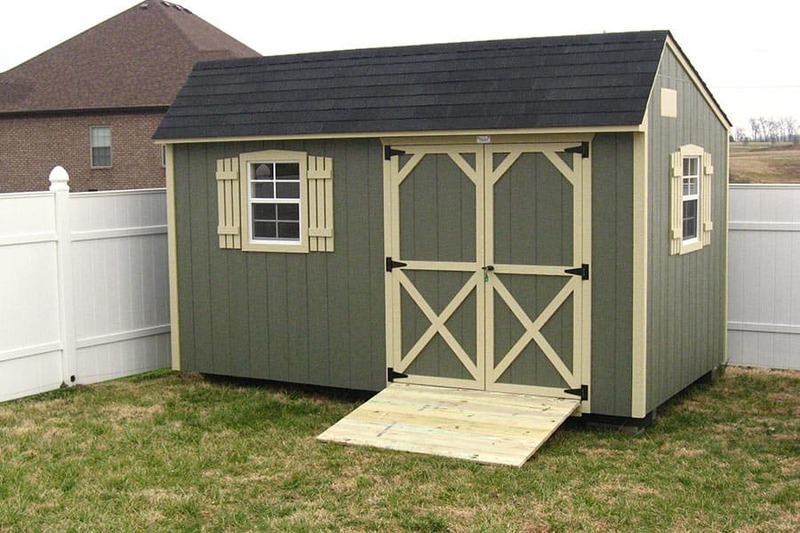 Or you could go with a garage shed with a bigger footprint and have everything on one level. 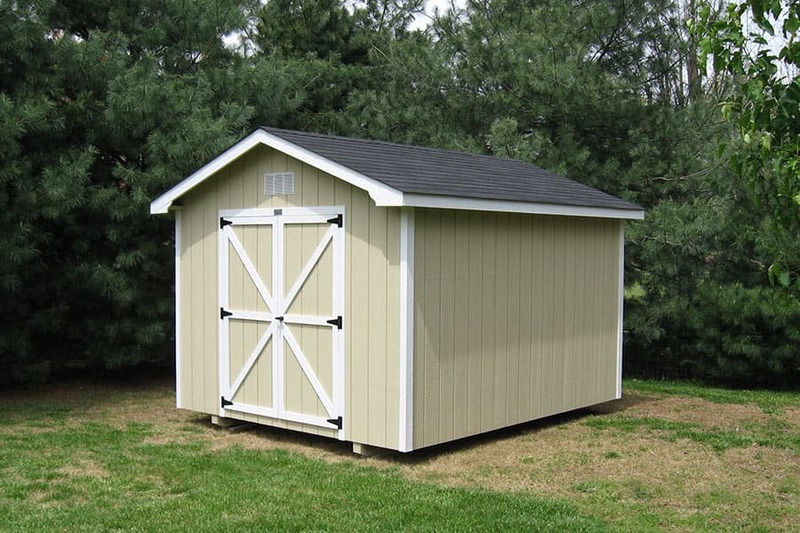 One and two car garage sheds are our specialty. These are the styles we have available. 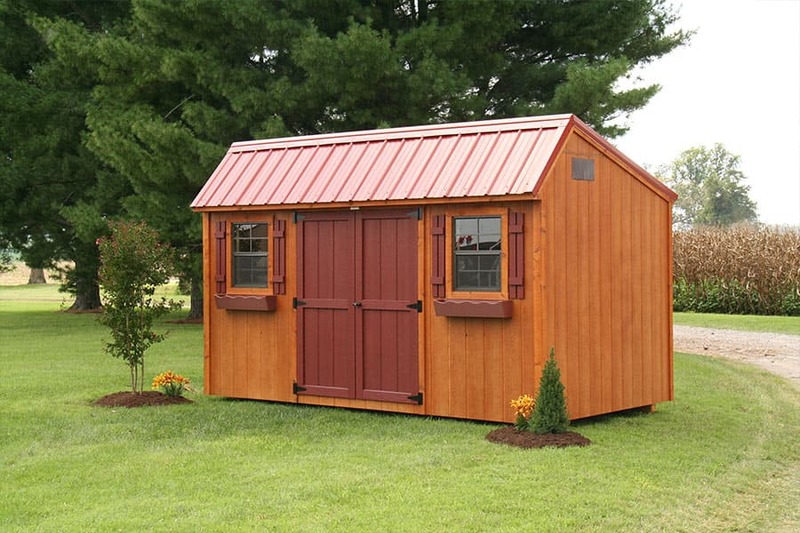 Our A-Roof shed is great looking! 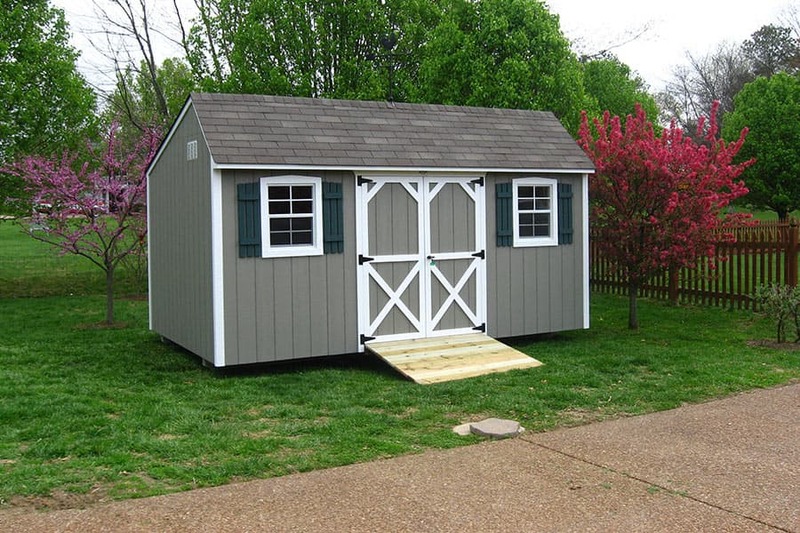 It’s a simple, small prefab garage, but can be expanded to serve as both a garage and a storage area as seen above. The slight overhang of the roof and quality doors and windows add a nice touch. 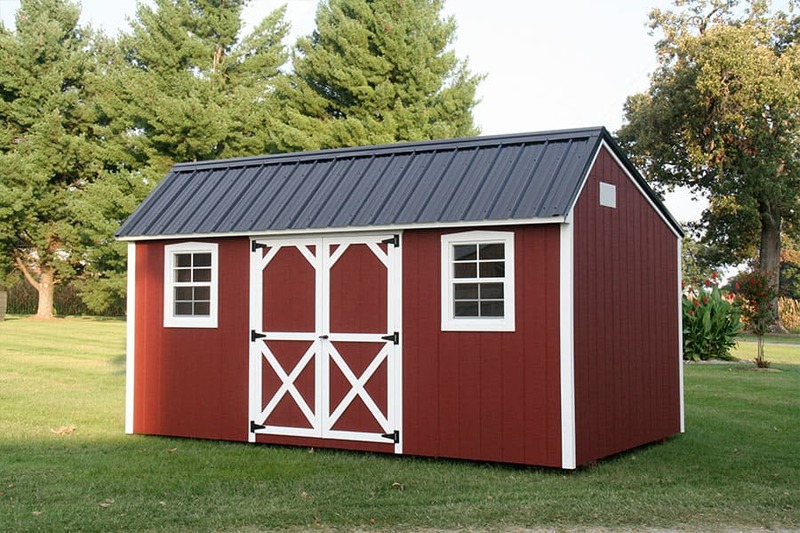 With its unique barn style roof and extra headroom (there’s even room for a loft) the barn garage shed may be just what you need. Any configuration you may think up is possible; just use your imagination. One glance tells you The Lancaster is in a class by itself. You may spend more on this beauty but what an addition to your property! Extra large windows, a roof dormer, and a cupola make all the difference. In addition, overhead storage is a possibility with this model as well. Here is the ultimate when it comes to storage space. 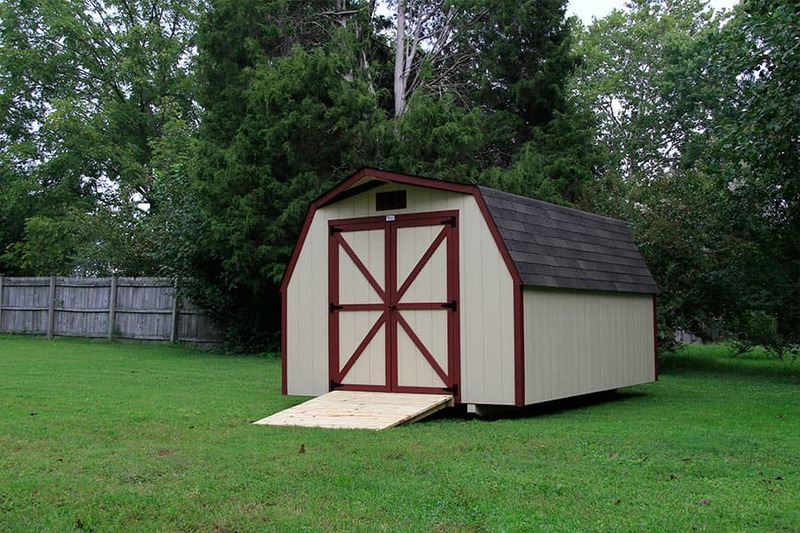 This is our largest garage shed, available up to 32 feet long. Considering its second story, there’s almost no limit to the possibilities! All our structures are built with quality materials and workmanship. 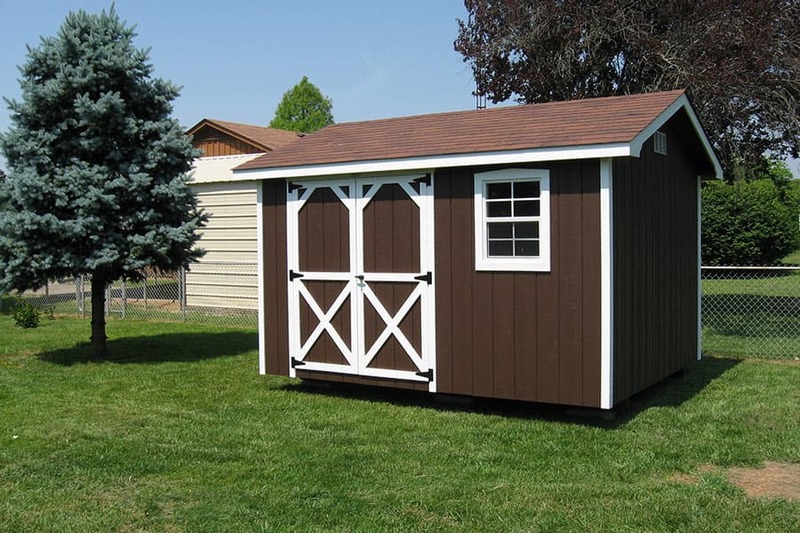 Moreover, we have years of experience under our belts and firmly believe one reason for our success is our focus on making our sheds with you, the end user in mind. So we want you to be satisfied. Finally, see our customer reviews, browse our website, then come see us at one of our sales locations in Kentucky or Tennessee. We’ll greet you with a firm handshake and a smile and do our best to transfer that smile to you as a happy customer!